We hope you enjoy these beautiful views of Mont Chasseral as much as we do. Chasseral is part of the Jura Mountains in Switzerland, overlooking Lake Biel. 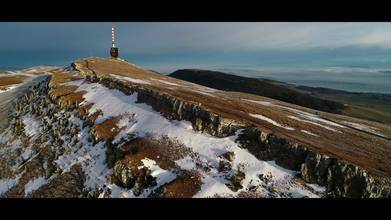 Its elevation is 1,606 meters or 5,269 feet, making it a difficult area to fly in, but the experts at AboveTheClouds make it look easy. Shot on a DJI Phantom 4 Pro, the team says if you look closely you can see the Black Forest of Germany, the Three Lakes Region, and the Swiss and French Alps.